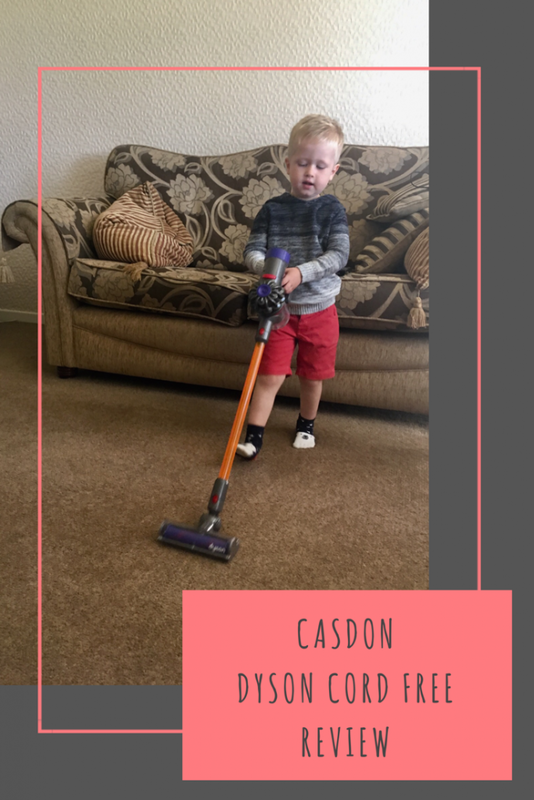 Lucas loves vacuuming and is always wanting to use ours when we get it out so when we were offered the chance to receive* a Casdon Dyson Cord Free vacuum to review, I couldn’t wait to see his face. When it arrived, he was absolutely made up with it. 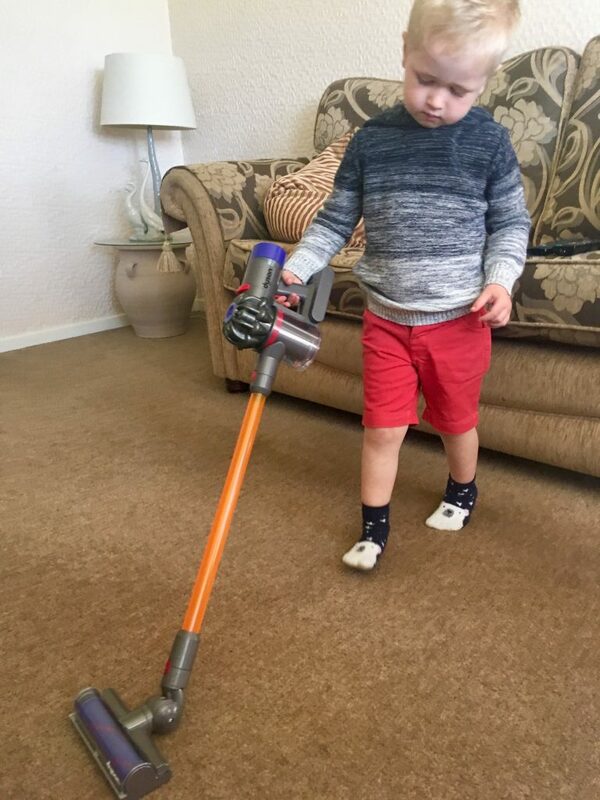 It is a direct replica of the cord free Dyson so Lucas can change the attachments for the tools of it and also change it from the long handle to do the floor and remove it to make it a small handheld vacuum, like we do with ours. It comes with easy to read instructions but it is so simple to put together, you don’t really need them. Each part clips on and off easy enough for Lucas to do, although he does need a reminder of where to line them up so he doesn’t jam them in. The vacuum also has a working suction and cyclone action with realistic sounds and the simulated cyclone has moving colourful bits in the clear cylinder which supports Lucas to understand cause and effect. 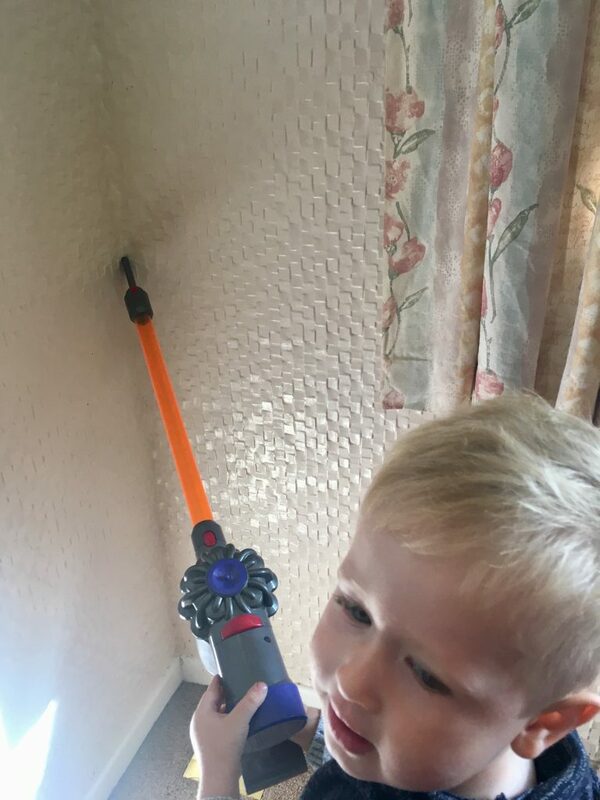 The suction obviously isn’t the greatest so its not going to do a full clean but it does pick up small pieces of paper and a bit of dust so Lucas feels like he is doing a good job (like a really useful engine which is very important for a Thomas fan!) and it can be emptied with a simple click of a button, just like the real Dyson. 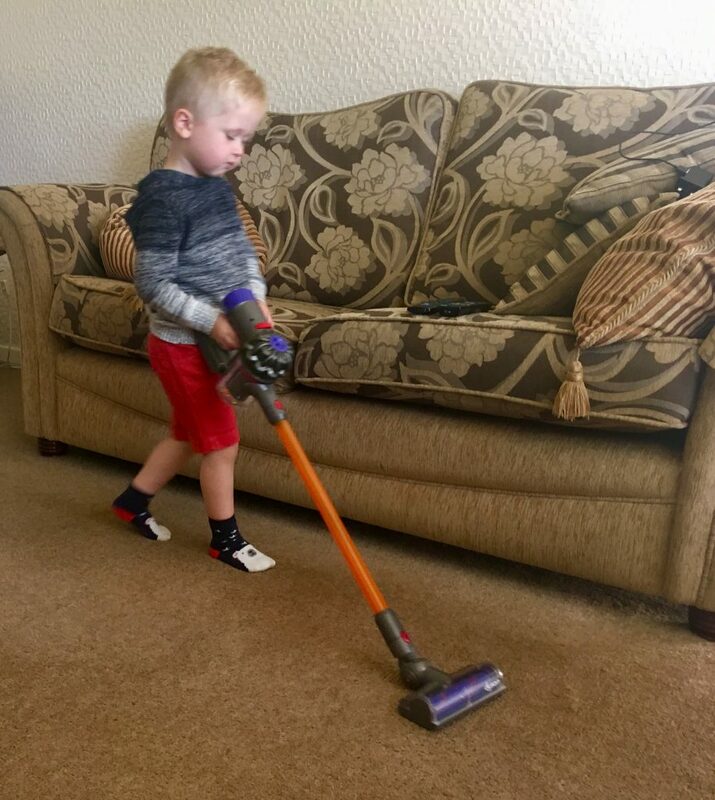 The head of the vacuum twists and turns making it easy for Lucas to go round corners and it is slim enough to glide under furniture, saving it from being bashed. It is perfect for realistic role play to explore imaginative play and develop social skills. The natural action of vacuuming also encourages the development of hand to eye co-ordination. 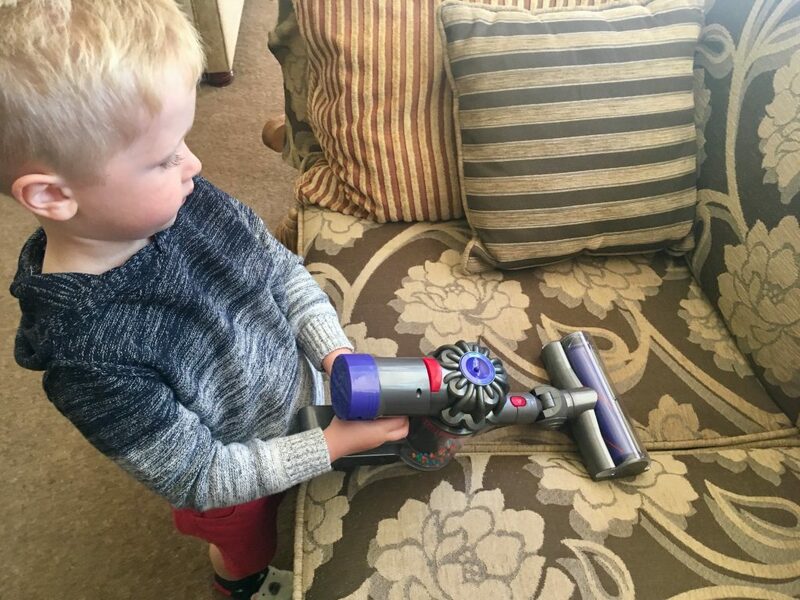 Lucas loves his Dyson and it is being used regularly as it has so many realistic features. He is tidying his toys away more so the floor is clear for him to vacuum and he pops it away next to our Dyson when he’s not using it. Oh this is super cute! I love how realistic it is! My kids would love to play around with this hoover. Looks so real.